Quality Score is one of the most important elements in your Google Ads strategy. They help Google determine how relevant your ads are to user queries, where to place your ad on the results page (as well as which page) and how much you need to bid to win the auction. In other words, high Quality Scores mean you can pay less for your ads to show in the top ad positions and even beat competitors with larger advertising budgets. 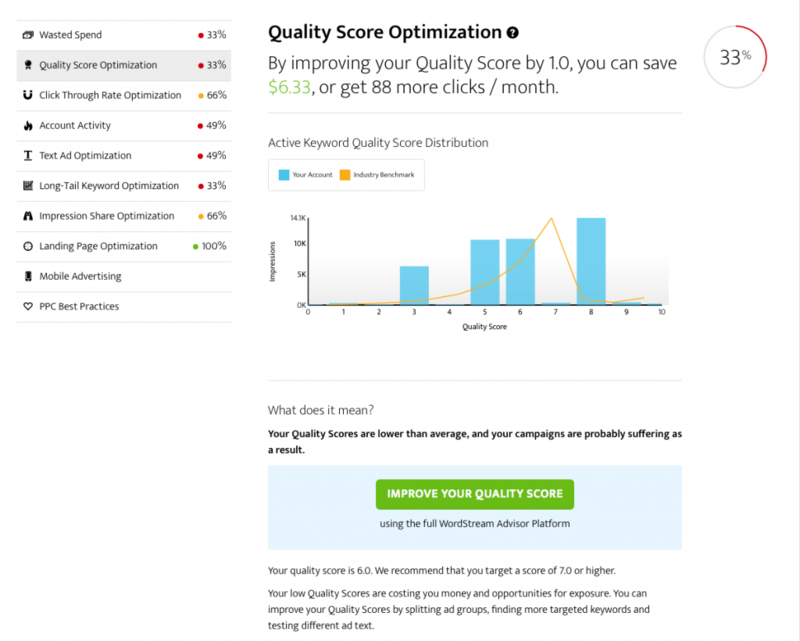 Yes, Quality Scores are that important and today we’ve got 10 PPC tools that are going to help you get the best performance from your ads and drive down your expenses with higher Quality Scores. What is Quality Score and why is it important? Google needs to know it’s delivering the most relevant ads to user search queries so it can generate the highest number of clicks – after all, this is where the search giant makes 90% of its money. While Google’s priority is to maximise revenue via ad clicks, people will only continue to click their ads if they deliver what they’re looking for and brands come good on their promise once users land on their website. This is why Quality Score is so important to Google (and you) and this is why simply bidding more on a keyword is going to buy you PPC success. In fact, high Quality Scores mean you can spend less than your direct rivals and get better results. So now we know what you need to do, let’s take a look at the tools that are going to help you make it happen. If you’re looking for a dedicated Quality Score tool, these are the best options you’ve got available right now. Your first option is completely free and you’ll find it in your Google Ads (formerly AdWords) account. You can check your Quality Scores for each keyword to get an overview of how relevant your ads, keywords, and landing page are to a person who sees your ad. You can also get estimated scores for landing page experience, expected CTR and ad relevance to get a better idea of how Google is calculating your Quality Scores. Finally, you can segment data to check your Quality Score history and look at the historical performance of your landing page experience, expected CTR and ad relevance scores as well. This is all the information you need to improve your Quality Scores and boost your PPC results. 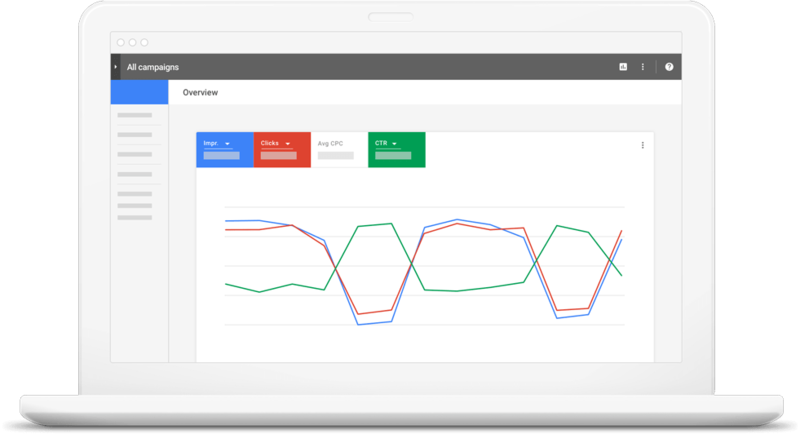 WordStream’s AdWords Performance Grader is another free tool at your disposal and it includes a Quality Score report, providing the same current and historical related to Quality Scores that you’ll find in your Google Ads account. It also compares your Quality Score performance against industry benchmarks, which tells you how you’re stacking up against the competition. 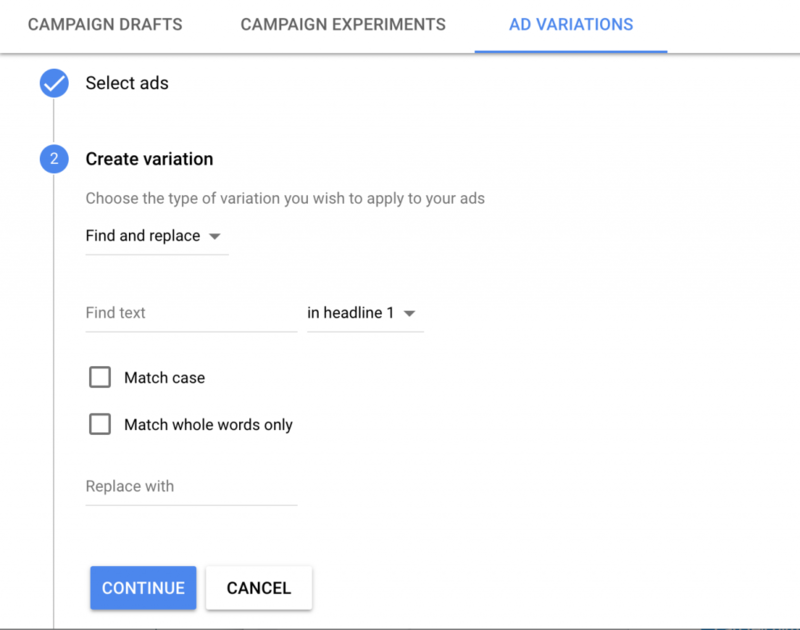 Aside from benchmarks, you don’t get anything you can’t find in Google Ads but you might want to try out the paid version of WordStream Advisor for additional features that’ll help you improve your Quality Score. The platform’s recommendations are great if you’re not fluent in PPC and you may well find things like adding negative keywords and campaign management easier in WordStream than Google Ads. Whether this is enough to justify the cost of WordStream is up to you but it costs nothing to try out the free trial. 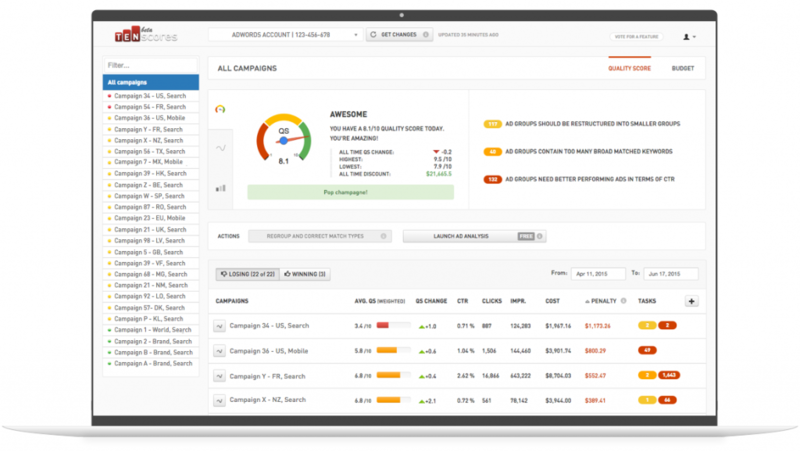 Unlike Google Ads or WordStream, Tenscore is a true Quality Score tool and nothing else. With the tools we’ve looked at so far you only get Quality Score data at the keyword level but Tenscore also provides data at the account, campaign and ad group level. This is a far more intuitive way to have access to your data because you’re managing your account at campaign and ad group levels, making it much easier to gauge performance and spot issues. Tenscore also offers recommendations on how to improve poor Quality Scores, highlight ad groups with issues and send you email notifications if there’s a sudden drop in performance. You can also apply these recommendations within a few clicks via the Tenscore dashboard without needing to log in to Google Ads. Adalysis’ Quality Score tool also provides data at the account, campaign and ad group level for faster insights. It doesn’t offer recommendations, instead letting you interpret the data for yourself and make your own choices. This will appeal to some advertisers more than others so it’s simply a case of experience and personal preference. Compared to Tenscore, the data available is essentially the same and both platforms rank your QualityScore in order of priority (those which need your attention most). The Tenscore interface is little easier on the eye and it also shows how your Quality Scores are affecting ad spend and budget. For less experienced advertisers, Tenscore is probably the better option but this decision becomes a little more difficult if you’re confident with making data-driven decisions. While dedicated Quality Score tools can help you identify performance issues, there’s a limit to how much they can actually improve your Quality Scores. We know that click-through rates, ad relevance and landing page experience are the key components of your Quality Scores so we also need to talk about tools that are going to help you improve these three factors. To maximise your CTRs you need to create compelling ads and one of the best features in Google ads to help you do this is ad variations. This allows you to test multiple versions of the same ad to determine which one performs most effectively. 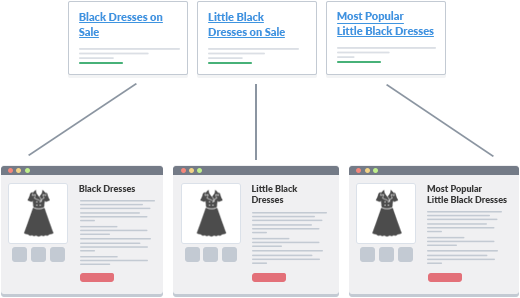 You can use this feature to test entirely different ad variations or refine core elements such as your headlines, descriptions and key selling points. As we’ve already explained, landing page experience is a crucial part of your Quality Scores but to is the relevance to your ads. If users hit the back button as soon as the page loads, this tells Google there’s either something wrong with the UX of your page (eg: slow loading times) or your landing page doesn’t match the offer that encouraged users to click in the first place. To create relevant landing pages, you need to create one for every key message in your advertising strategy and make sure the messages between ads and pages match. This is why you need a landing page builder that allows you to create new pages quickly and effectively. You also need a builder that priorities speed, performance and other UX essentials. Finally, you want to be able to easily test variations so you can pinpoint issues if your landing page experience scores are low. Unbounce, Instapage and Leadpages are all quality builders and there are plenty of other options for you to check out. Google has made a big deal about loading times over the past few years so you can guarantee this is a key factor in how it gauges landing page experience (Google mentions it twice out of five guidelines on improving landing page experience). It’s also one of the few metrics that directly correlates with poor performance. For example, we tend to think of high bounce rates as a bad thing but what is users are simply converting on the spot without visiting a second page? Google can’t assume high bounce rates by themselves are a signal of poor performance. The same thing goes for time spent on our site, the number of pages visited and various other metrics. Poor loading times are never a good thing for landing page experience, though. 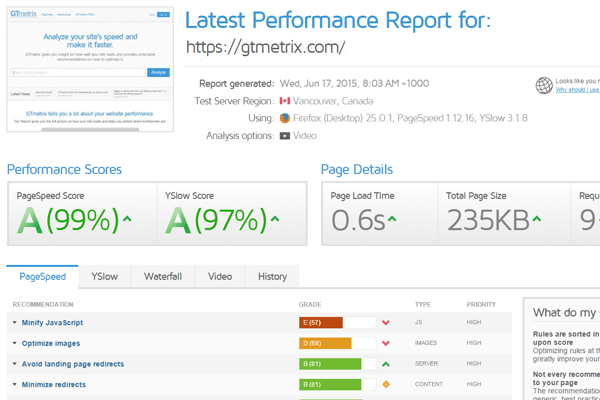 So make sure you have a speed optimisation tool like GTmetrix or Google’s own PageSpeed Insights to help you keep those loading times to a minimum. Something else we know Google measures for every page is “mobile-friendliness” and this has been a core part of its search algorithm since 2015. The truth is Google’s requirements for a mobile-friendly page are very modest and your users are going to be far more demanding than the search giant. In terms of your Quality Score, though, Google’s Mobile-Friendly Test will give you all the info and feedback you need to make sure mobile optimisation isn’t holding back your landing page experience score. As Google injects more AI and machine learning into its advertising platform we get features like Dynamic Search Ads that adapt ad content to better match users’ queries and search intent. This is great news when it comes to ad relevance, on the search side of things, but not so much on the landing page side of your ads. If Google is changing your ad copy to suit user needs, what about the content on your landing pages that no longer matches the exact same keywords or selling points? This is where content personalisation is becoming so important, allowing you to adapt the content of your landing pages to match user search terms. Various CRO and personalisation platforms like VWO allow you to add query parameters that adapt your landing pages to suit user search terms. This allows you to use features like Dynamic Search Ads to make your ads more relevant to a wider audience while keeping your landing pages equally relevant to a wider range of search terms. The Search terms report in Google Ads is one of the most powerful tools you find on the platform, helping you measure the performance of your keywords, spot new opportunities and discover negative keywords make sure your ads only show for the most relevant searches. All of these will increase the relevance of your keywords, refine the audience who sees your ads and help you create more relevant ad messages – all very good news for your Quality Score. Aside from driving down the cost of your keywords, striving for better Quality Scores is going to improve your all-round PPC performance across the board. Better ads are going to generate more clicks and more relevant ads are going to generate traffic from people who are more likely to buy from you. 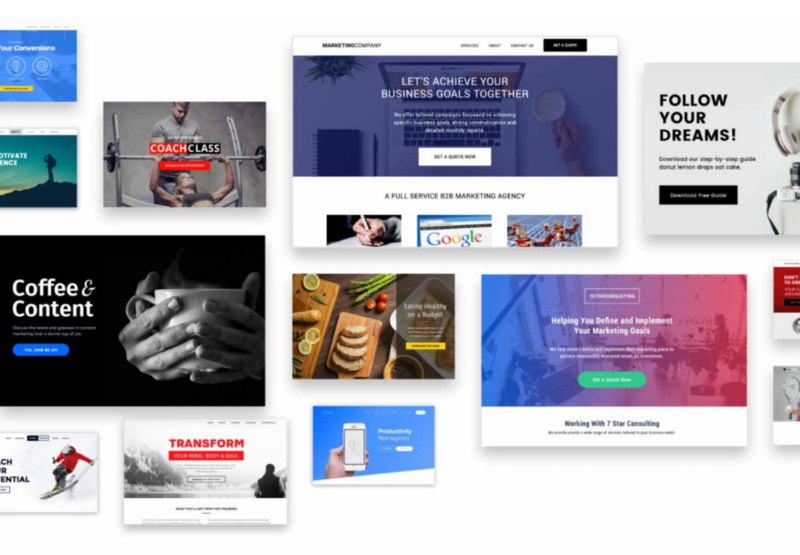 Likewise, better landing page experiences are going to increase your conversion rates and turn more traffic into paying customers, which is why you’re going to all this trouble in the first place.